Two prominent members of the Red Sox had surgery yesterday, both performed by Dr. James Andrews in Pensacola, Florida. 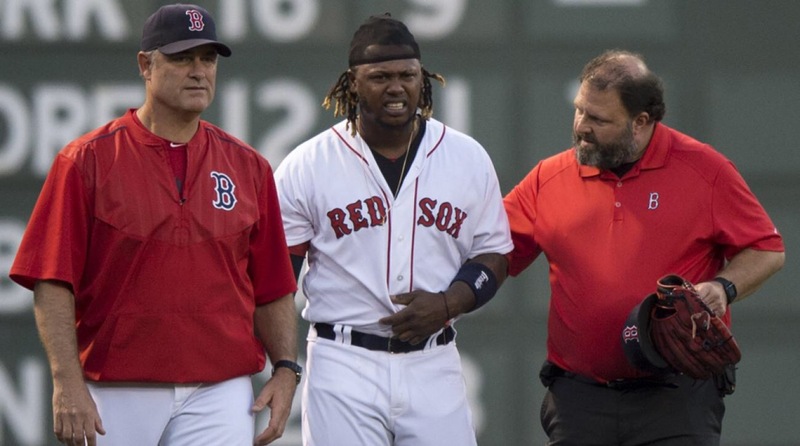 Let’s tackle the “easier” of the two first – Hanley Ramirez’ left shoulder surgery. The Sox’ DH/occasional first baseman underwent a left shoulder arthroscopic debridement – in simpler terms, a “cleanup”. Ramirez has dealt with shoulder issues in the past, including in 2015 when he ran into the left field wall at Fenway, and his shoulder issues caused the Sox to be hesitant to use him at first base on a regular basis this year. Despite being used sparingly in the field, it seemed that Ramirez’ shoulder woes may have sapped him of his usual power, given that he finished the season with only 62 RBI and an OPS of .750, both well below his career averages. With an eye towards restoring some of his lost slugging capabilities for next season, the DH went under the knife for a shoulder arthroscopy and debridement. The idea of this surgery is that if Dr. Andrews was able to clean up some loose cartilage or inflamed bursal tissue Ramirez’ shoulder might feel more comfortable and allow him to be more productive at the plate. With nothing being repaired, recovery should be quick, with a sling for only a few days for comfort and a return to full activities in a month or so. Whether or not Ramirez benefits from the procedure is yet to be determined, but the potential downside was so minimal it was likely worth a shot. Sox starting pitcher Eduardo Rodriguez also had surgery with Dr. Andrews yesterday, in his case on his right knee. Rodriguez had several patellar subluxations (partial dislocations, where the kneecap slides to the side but does not come out all the way) of his right knee over the last year, which caused him to miss significant chunks of time over the last year and contributed to the lefty’s disappointing 2017 season. Patellar subluxations or dislocations are a source of significant pain and can cause athletes or patients to not trust their knee. Once someone has had a dislocation or subluxation of their patella, they inevitably stretch or tear their medial patellofemoral ligament (MPFL), one of the ligaments on the inside of the knee responsible for stabilizing the kneecap through its range of motion. 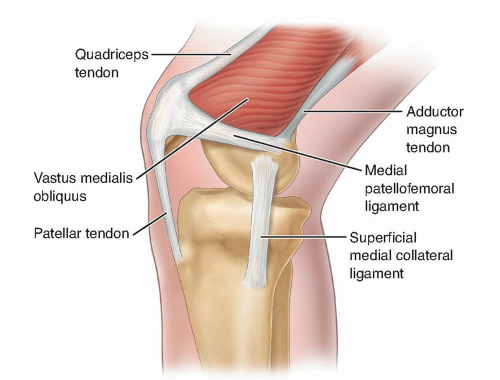 In a way, it is like the ACL of the kneecap – important for stability but somewhat easy to injure. Also similar to the ACL, once the MPFL has been torn or stretched the ligament has little inherent healing capacity, so recurrent instability can be a problem. Most patients with this condition can manage it without surgery, through physical therapy exercises and activity modification. Rodriguez obviously did not fall into this category, as his recurrent patellar subluxations caused his need for surgery. 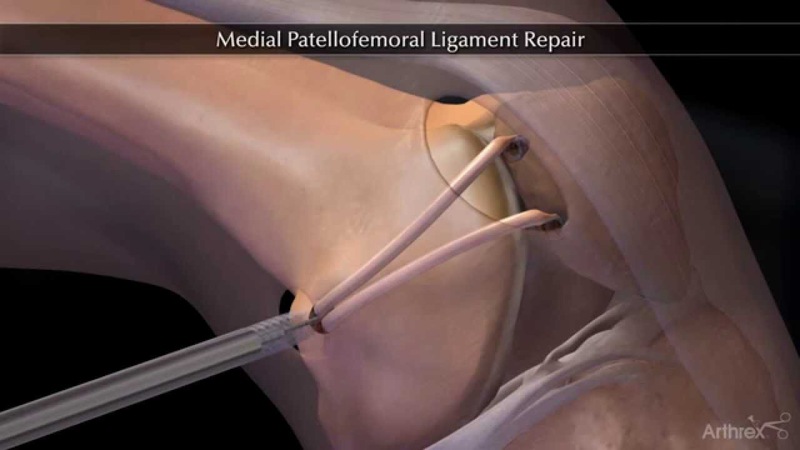 There are several different techniques for this particular surgery, but the basic idea is to make a new medial patellofemoral ligament (MPFL) out of either the patient’s own tendons, typically the hamstrings, or a cadaver tendon (an allograft). The new ligament is attached to the patella and femur by means of screws or anchors, and usually a knee arthroscopy is performed at the same time to address any cartilage issues. Post-operatively the patient is usually on crutches and in a brace for 6-8 weeks, with physical therapy at first focusing on range of motion, followed by strengthening at around three months and cutting/jumping sports between 6-8 months. 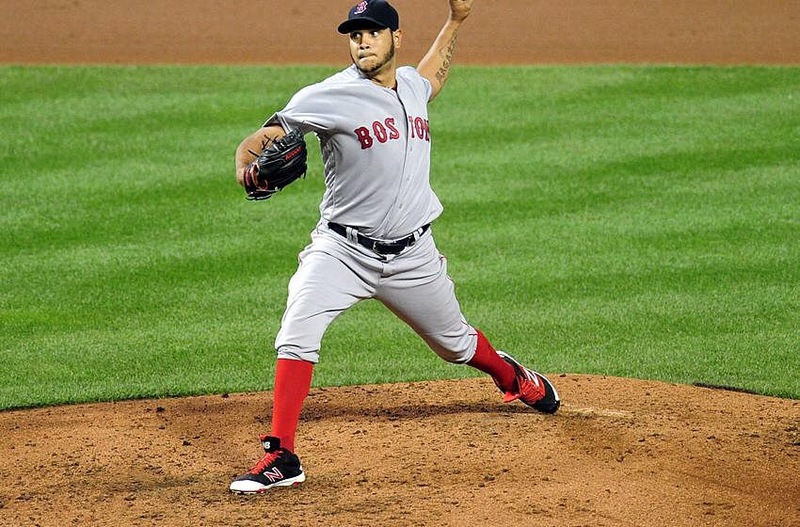 The Red Sox have announced that Rodriguez is expected to resume pitching in about six months, which is consistent with this timeframe. I would anticipate this would mean he would begin pitching in six months, but would have to gradually increase his arm strength and pitching activities, so it might be closer to 8-9 months before he is back to the big leagues, so a return to the Sox after the all-star break might be more realistic. In terms of results, the odds are in Rodriguez’ favor for a full return with a stable knee. A recent meta-analysis (a group of studies whose results are pooled together) looking at results of MPFL reconstruction surgeries from the American Journal of Sports Medicine showed very favorable results, with 84.1 percent of patients returning to their sports and with recurrent instability being very low, at 1.2 percent. It is safe to say that while Rodriguez’ recovery may be long, his results should be predictable and reliable, while Ramirez will have a quick recovery but potentially less durable results.